Emily Roux, the third generation of one of the most influential culinary family dynasties, recently announced that she will be opening her first restaurant in London this year. Here, she tells us why she decided to develop her understanding of wines and spirits with a WSET qualification and the role wine will play in her first hospitality venture. You recently achieved the WSET Level 2 Award in Wines and Spirits. What made you decide to take the course? I’m opening a restaurant this year called Caractère in Notting Hill with my husband, Diego Ferrari (head chef at Michel Roux Jr’s Le Gavroche), so furthering my knowledge in wine/spirits is essential. I went for the intensive course, completed in one week. This allowed me to keep focused and not forget elements along the way. I did a little revision each night! Broadening my knowledge in a friendly environment. I am very lucky to have tried different wines from all over the world before joining the course so nothing we tried was particularly new. However, the way of describing and talking about each wine was very new to me. The most important thing I took away from the course was don’t judge a book by its cover, or in this case don’t judge a wine by its colour. Does a knowledge of wine and spirits help you with your role as a chef and budding restauranteur? It especially helps with food pairing; but also helps to vocally describe what we smell and taste in each wine. It also helps you enjoy wine more. I tend to think about the whole process the grapes/juices have been through when tasting a wine. It’s such an incredible process replicated in so many different ways all over the world. The sommelier is very important as part of the restaurant experience. A delicious dish can be taken to a whole different level if accompanied by the right wine and vice versa. I have never wanted to be a sommelier myself as I have always been more passionate about food; but I definitely admire their knowledge. You obviously have a lot of culinary brilliance in the family. Are they also very knowledgeable about wines? Yes, the whole family are very passionate about wines. We have visited several vineyards together and always appreciate the work put in to each bottle. Don’t judge a book by its cover, or in this case don’t judge a wine by its colour. What advice would you give to someone looking to learn more about wine? Do WSET courses and visit vineyards everywhere you go. The courses would definitely be fulfilling for someone outside of the industry. Most of the people I was with on the course had nothing to do with the industry, simply very passionate about wine. 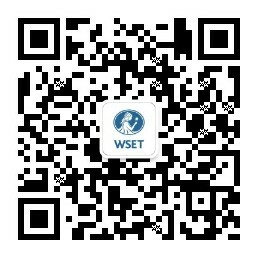 Will you be taking any more WSET courses? Follow Emily on Instagram and learn more about her first restaurant here.